Missing your favorite four-legged friend back home? Check out KAUAI HUMANE SOCIETY’S SHELTER DOGS ON FIELD TRIPS program. Those wanting some canine companionship to explore Kaua‘i’s pet-friendly outdoor wonders can “check out” a shelter dog for the day. Kauai Humane Society matches dogs to humans and then you’re on your way! Pick-up hours are 11 a.m.-1 p.m. Tuesday-Friday and 10 a.m.-12 p.m. Saturday and Monday. Return times are 5:30 p.m. Tuesday-Friday and 3:30 p.m. Saturday and Monday. 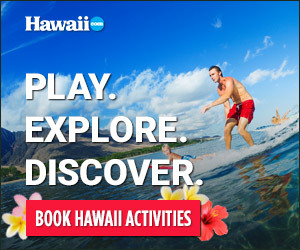 Some places you may want to explore include: Sleeping Giant, Maha‘ulepu Beach and Koke‘e State Park/Waimea Canyon. It’s a win-win: you get your furry fix, and the dogs get a fun day away from the shelter. Don’t worry if you fall in love: Kauai Humane Society adopts out about four dogs a month to visitors and are happy to help with the process. Call or visit the Kauai Humane Society for more information and guidelines: (808) 632-0610, kauaihumane.org.